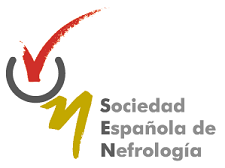 Nefrología is the official publication of the Spanish Society of Nephrology. The Journal publishes articles on basic or clinical research relating to nephrology, arterial hypertension, dialysis and kidney transplants. It is governed by the peer review system and all original papers are subject to internal assessment and external reviews. The journal accepts submissions of articles in English and in Spanish languages. Nefrología follows the publication requirements of the International Committee of Medical Journal Editors (ICMJE) and the Committee on Publication Ethics (COPE). Hospital Universitario Río Hortega, Valladolid. Please cite this article as: Ibeas J, Roca-Tey R, Vallespín J, Moreno T, Moñux G, Martí-Monrós A, et al. Fe de errores de «Guía Clínica Española del Acceso Vascular para Hemodiálisis». Nefrologia. 2019;39:1–2.